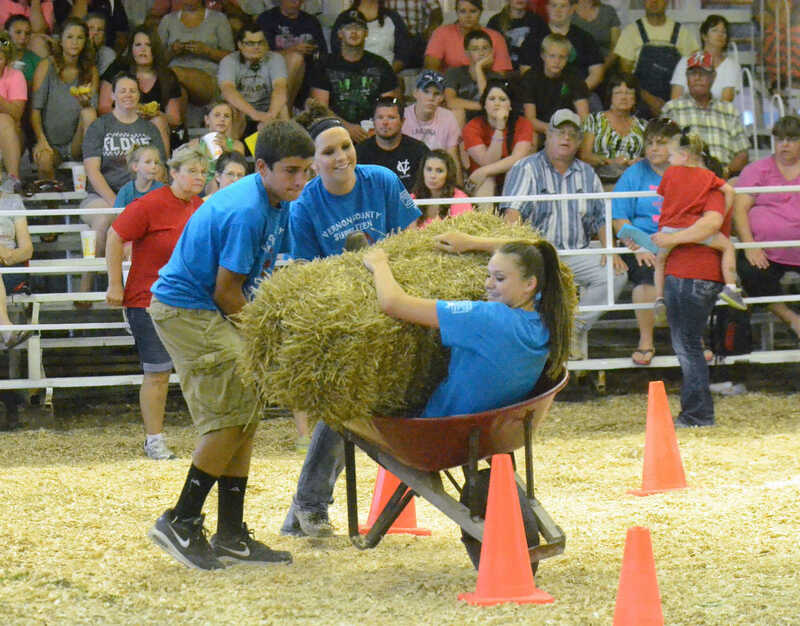 Cole Ellis and Kayla Forkner push MaKenna Hill in the Super Teen obstacle course. 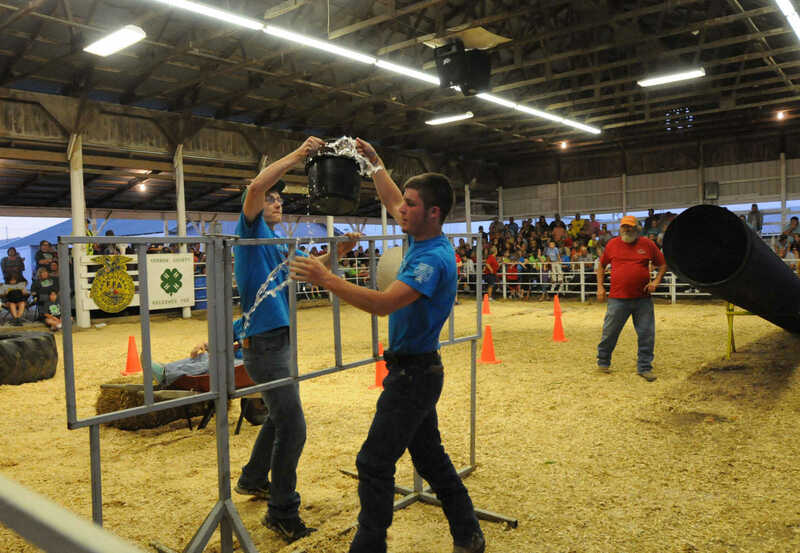 Joe Mader and Brandin Whitworth transfer a water balloon in a bucket in the Super Teen obstacle course. 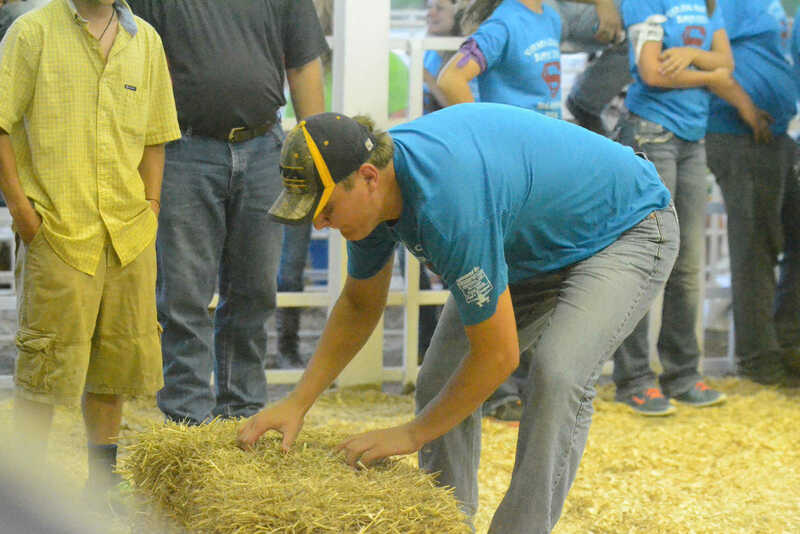 Cole Diggins lifts a hay bale during the Super Teen obstacle course. Cole Diggins and Gabe McIntire work together to get over the hay bale in the Super Teen obstacle course. 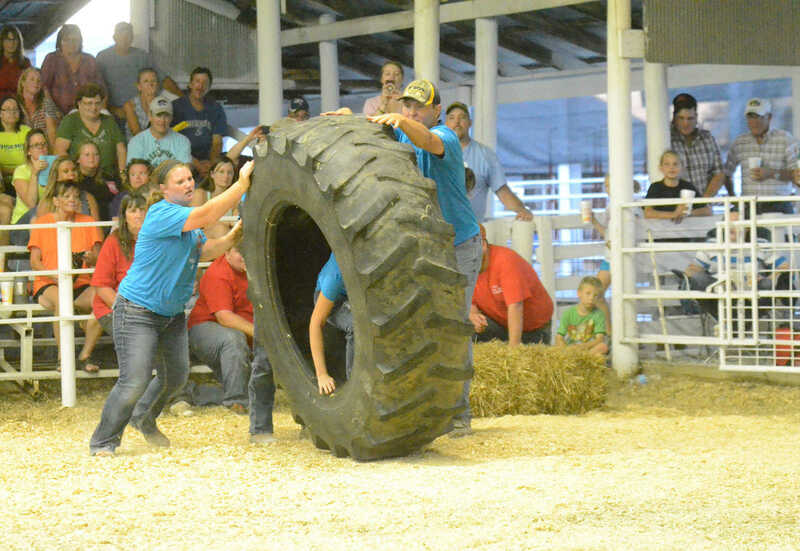 Team Two pushes Lindsey Reedy in a tractor wheel during the Super Teen obstacle course.